I am trying to identify this typeface. One thing I noticed- the “1” and “2” on the type- beside the face. Maybe the “2” is an alternate cap R? If more letters are needed for I.D., I can post another photo later this week. 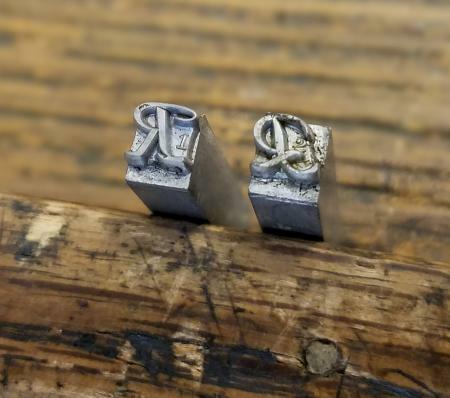 Those are the two cap Rs, of Raleigh Cursive, by ATF, which was numbered 531. The lower-case should have a number of ligatures, if you have that. Thank you Dave! You have been extremely helpful.